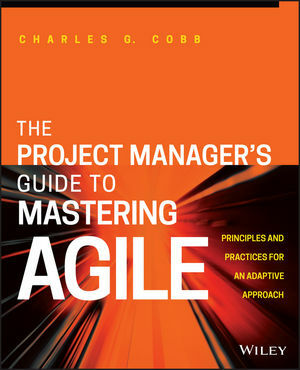 There are many books on Agile and many books on traditional project management but what’s very unique about this book is that it takes an objective approach to help you understand the strengths and weaknesses of both of those areas to see how they can work synergistically to improve project outcomes in any project. The book includes discussion topics, real world case studies, and sample enterprise-level agile frameworks that facilitate hands-on learning as well as an in-depth discussion of the principles behind both Agile and traditional plan-driven project management practices to provide a more thorough level of understanding. CHARLES G. COBB is President of Breakthrough Solutions, Inc., a consulting company that specializes in helping companies develop more effective enterprise-level Agile implementations. He is passionate about helping to close the gap between the Agile and traditional project management communities. He has published two prior books on Agile Project Management, written over 50 articles, and has been a guest speaker at numerous PMI® and Agile events. He is an Adjunct Professor at Boston University where he teaches a graduate-level Agile Project Management course and he is a practicing project/program manager with numerous project management and agile certifications over 30 years of experience.